Well, you would say that rocking chairs really rock but we are not talking about the motion these chairs create. We are referring to the impressive rocking chair designs in contemporary style. Like what we have said yesterday on our feature of modern rocking chairs, these are mostly associated with elders using them. But we failed to mention that even kids also love to use these for their playtime. Remember that wooden horse you used to sit when you were little? That is the kiddy version of a rocking chair. But we are not going to feature rocking chairs for kids today. 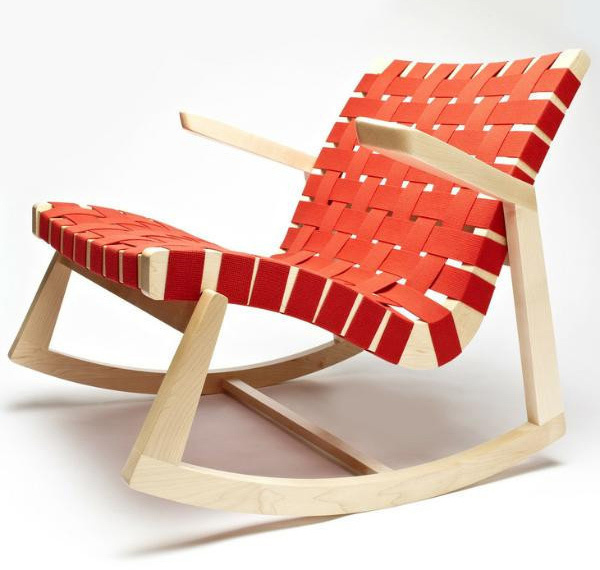 We will be showing you contemporary designs of rocking chairs that would no doubt rock your home’s interior! Take a look at the furniture designs we have gathered for you below and let us know which one is your favorite. 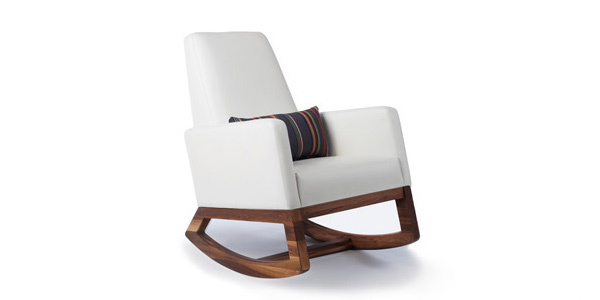 Maple with lined walnut emphasizes the lines of this rocking chair. The doesn’t take up a lot of floor space and can also be upholstered if the homeowner wants to get a traditional look instead of a contemporary piece. This is a rocking chair that has another great function. A simple mechanism is fitted under the chair to produce energy which is enough to light a lamp or charge an iPod. The energy can be produced when someone rocks on the chair. Tailored upholstery that is available in different Monte signature colors gives this chair style and quality. Its wooden base can be made with Solid American Walnut or White. A functional sculpture that is perfect for your home’s interior and for your relaxation. Curvilinear form and hand-shaped parts creates the lovely look of this rocking chair with saddle leather seats. This low wooden rocking chair would fit any modern or contemporary space. It is made from solid walnut and wire mesh frame. 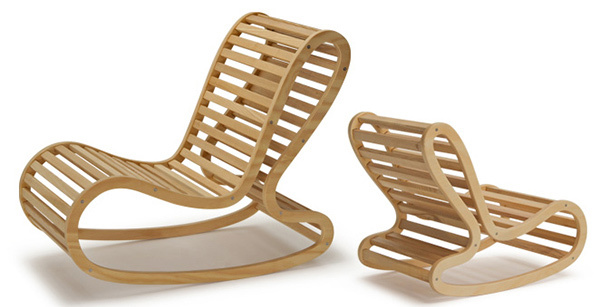 This wooden rocking chair will surely add an Art Deco touch to your contemporary space. The look is similar to an Eames chair but this one is more comfortable with a high back. Designer Maria Vinka found a way to make use of waste materials by using banana fiber for this lovely chair. A rocking chair covered with Harris tweed and framed with finely crafted elm wood. Carbon steel framed rocking chair with pine, oak, walnut or calico wood. 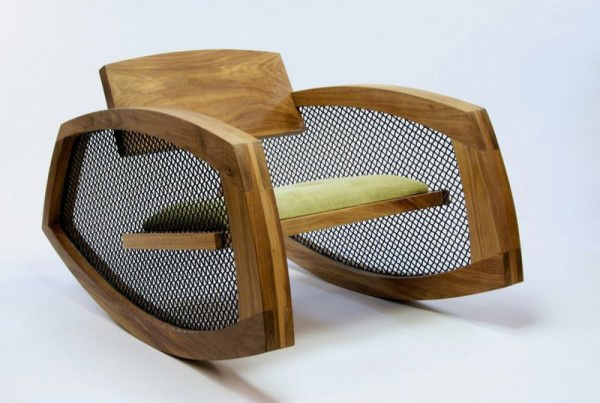 This is one contemporary rocking chair that surely rocks! The open weave seating is available in different vibrant colors. You will surely get the kind of rocking chair you want from this line from Lebello. American Ash and Hoop Pine Plywood in lacquer finish resulted into this rocking chair. Trubridge was encouraged by Australian Designer Ruth McDermott to design a rocking chair that is why the chair is named after her. known for its fusion of American woodcraft and modern lines, this rocking chair has certainly rocked the world with its hand-webbed cotton or leather and American Black Walnut or Rock Maple combinations. 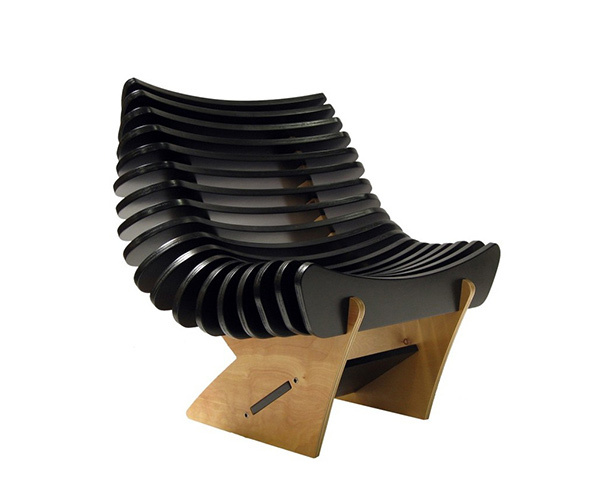 The sculptural shape of this chair could add appeal to any kind of interior. Its organic form, material variation and colors will fit even for kids who would use it. Now take your pick! 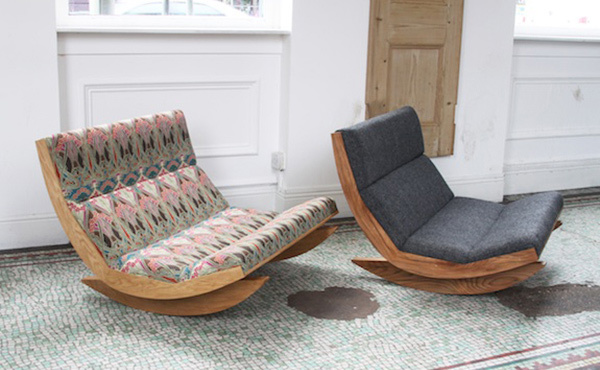 Which contemporary rocking chair appeals to you? Which one would look perfect in your interior? 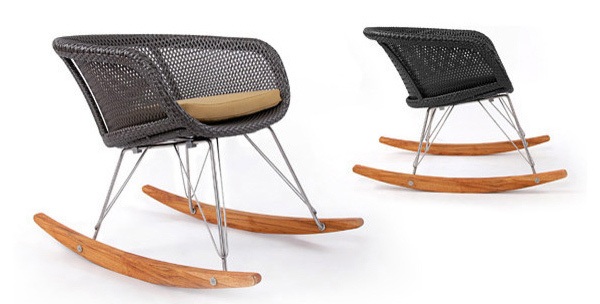 Yesterday we have given you a list of modern rocking chairs. Try to compare their designs so you can decide which rocking chair would suit your space as well as your needs. Be back for more furniture designs here in Home Design Lover!